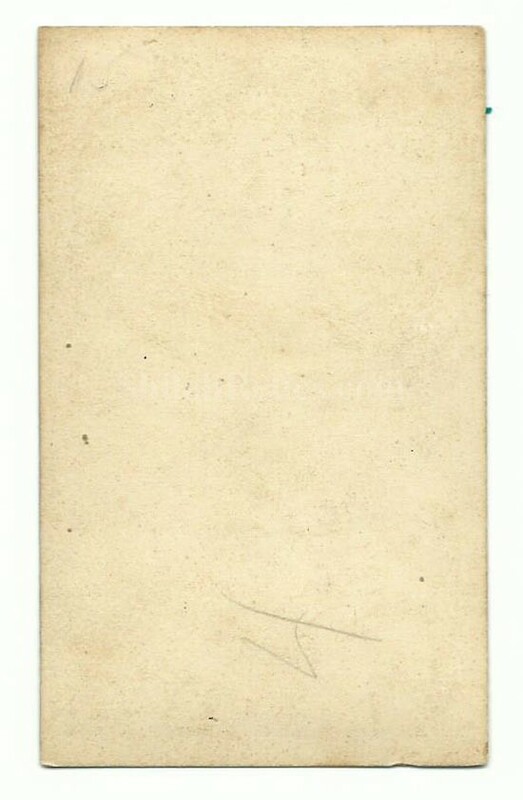 This is a nice looking original CDV image of a Civil War Union soldier. The soldiers would buy these from the photographers in the cities or even from traveling photographers that would come to camp. They would purchase them in small quantities to send home to family or friends. This one shows the bust view of a mustached Union soldier in his uniform. On the shoulder of the uniform you can still see one of the shoulder insignia which has the two bars. These two bars denote his rank of Captain. 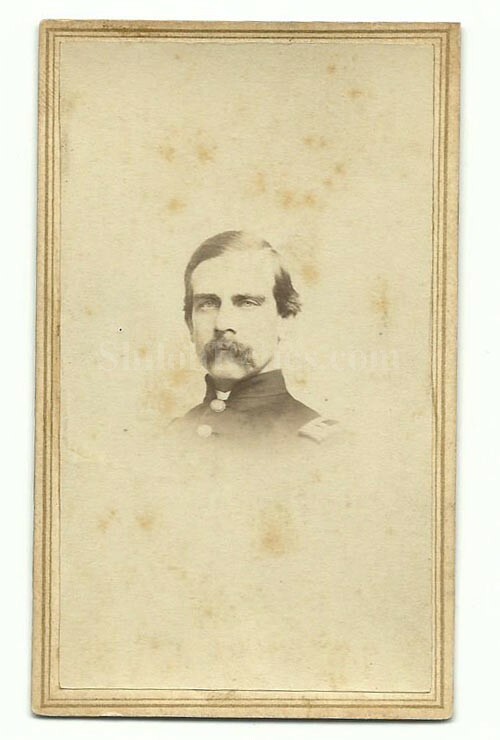 This is a fine looking original CDV image of a Union soldier in uniform.